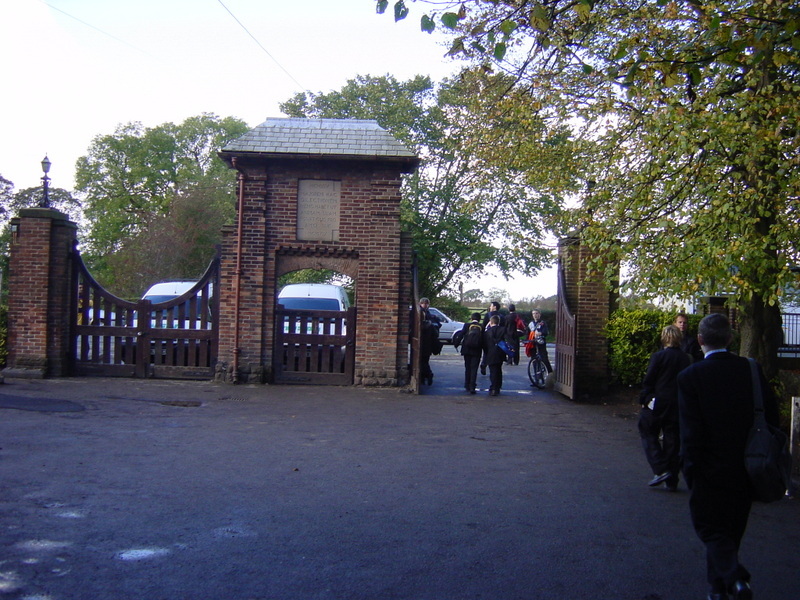 Brick gateway with wooden gates. Central structure with a tiled and hipped roof. 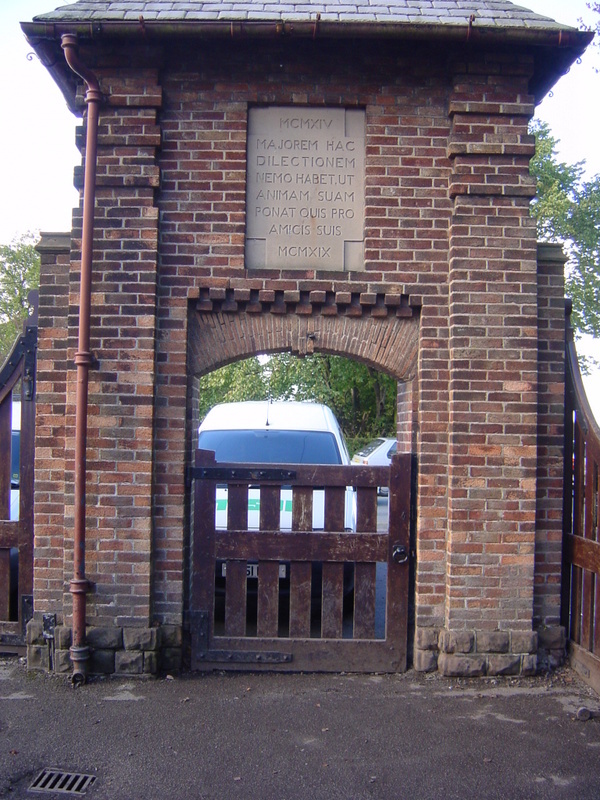 This structure bears an inlaid tablet on one side with Latin inscription and on the other face a plaque bearing the English inscription. 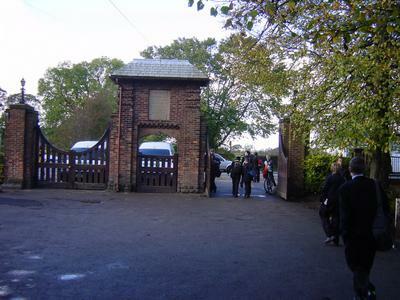 This structure has a small gateway within it but is flanked by much larger wooden gates. These are supported on the far sides by brick gate posts, smaller and simpler than the central gateway.